Welcome to this week’s Favorite Food Friday where we share our favorite foods with our friends. This week we head to New Fantasyland at the Magick Kingdom and Gaston’s Tavern. 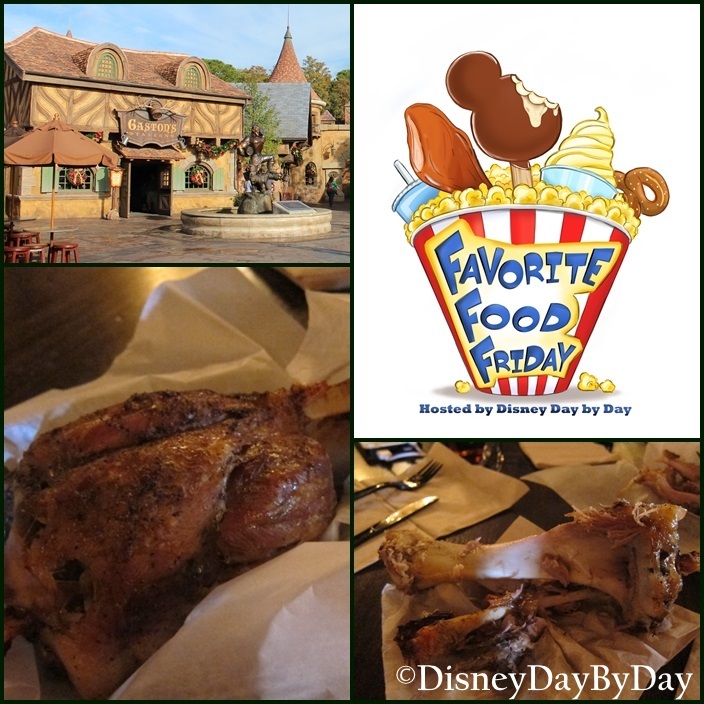 No one eats like Gaston….The Roasted Pork Shank is dare I say, in my option, better than the Turkey Leg. The shank is a bit smaller than the Turkey Leg, but I found the meat to be more falling off the bone tender. This made it easier to push the meat off and eat. Yes it’s a bit fatty but it’s a carnivore’s dream. As you can see in the after picture above, the shank didn’t stand a chance with us. Have you tried the roasted pork shank? Let us know your opinion. Welcome to this week’s Favorite Food Friday where we share our favorite foods with our friends. 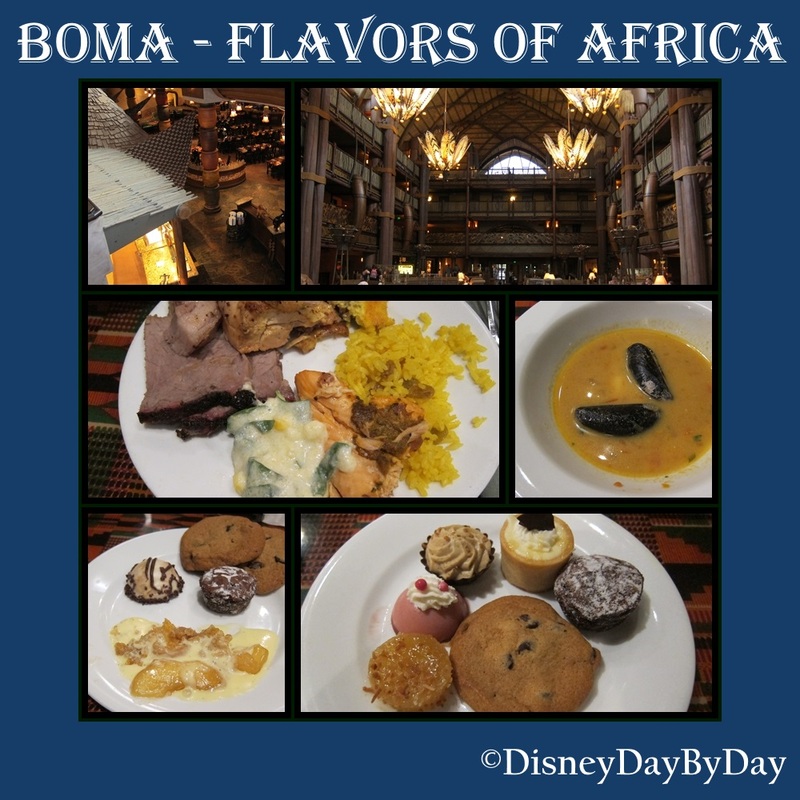 This week we head to one of our favorite resorts, Animal Kingdom Lodge and take a look at Boma – Flavors of Africa. The restaurant is just off the main lobby so you will begin to smell the amazing food as you enter the resort. Our family loves to try new food, but I do have to say we were a little unsure on what we would find at this buffet. The selection is extensive and includes selections of items that are influenced by over 50 African countries. And yes you will even find American selections if you can’t find something you like, but this is a buffet and a great place to try things you will not find anywhere else. We sampled many of the offerings and found some that were amazing. Feel free to ask your servers about the selections and the will be happy to explain and guide you to items with your tastes. Now grab a couple zebra domes and join us with your favorite food, leave a comment or link up a post of your Favorite Food. Welcome to this week’s Favorite Food Friday where we share our favorite foods with our friends. Happy New Year! Thanks for visiting our site we hope the new year brings you lots of happiness and joy. 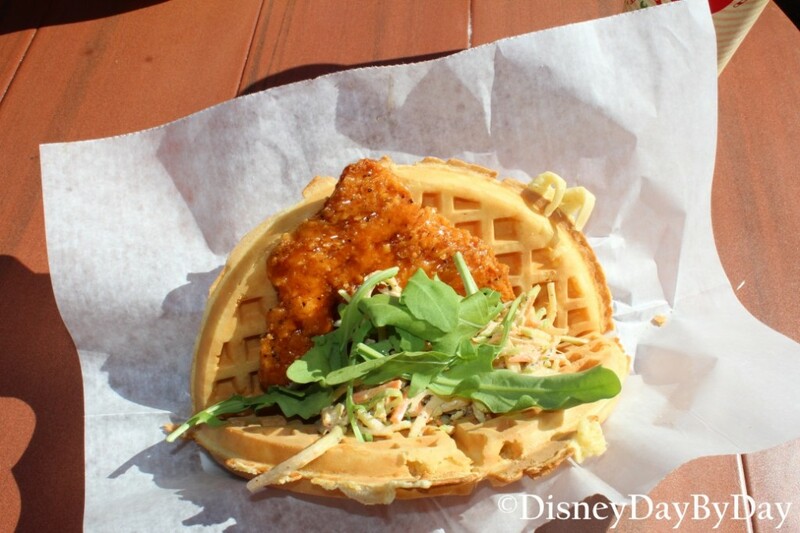 This week’s Favorite Food takes us to Liberty Square in the Magic Kingdom and to Sleepy Hollow for the chicken waffle. This waffle is full of flavor with a fried chicken breast, covered in sweet and spicy Asian sauce and topped with a creamy coleslaw. The spice does have a bit of a kick, we found that removing the coleslaw cooled it down some if the spice is too much for you. Now join us with your favorite food, leave a comment or link up a post of your Favorite Food. Welcome to this week’s Favorite Food Friday where we share our favorite foods with our friends. I know what you are thinking, Favorite Food Friday and this guy is showing me a doughnut or is it donut. What is the difference? For this article I’ll continue with doughnut, sorry Dunkin. DisneyDayByDay Jr is addicted to these things; we can’t go to Epcot anymore without stopping to get one and now he has spotted them at Hollywood Studios as well. 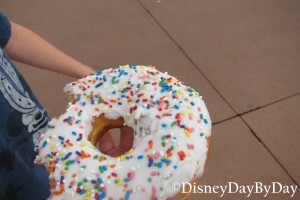 These aren’t your standard doughnut, they are large, fresh, moist and full of flavor. You can find them at the Joffrey’s kiosks located in and around the Parks. We found this one on the way to Mexico at Epcot. 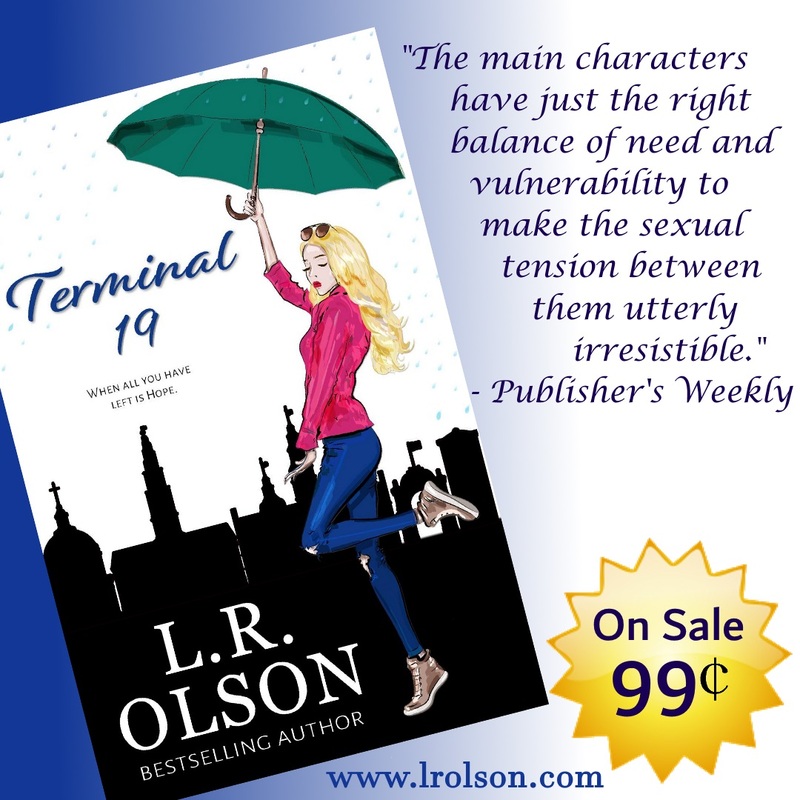 They do run out, so if you want one, be sure to stop by early. Did you know Joffrey is the official specialty coffee of Disney? This was announced on Feb 19, 2013. Sorry Starbucks. Joffrey is a Tampa Florida based company specializing in coffee and tea. Have you tried a doughnut at Disney? get the InLinkz code to add to your post right here! Welcome to this week’s Favorite Food Friday where we share our favorite foods with our friends. Many people know the Kringla Bakeri Og Kafe for their amazing Norwegian sweets, but did you know they also have sandwiches? On our last trip we gave a couple of them a try. 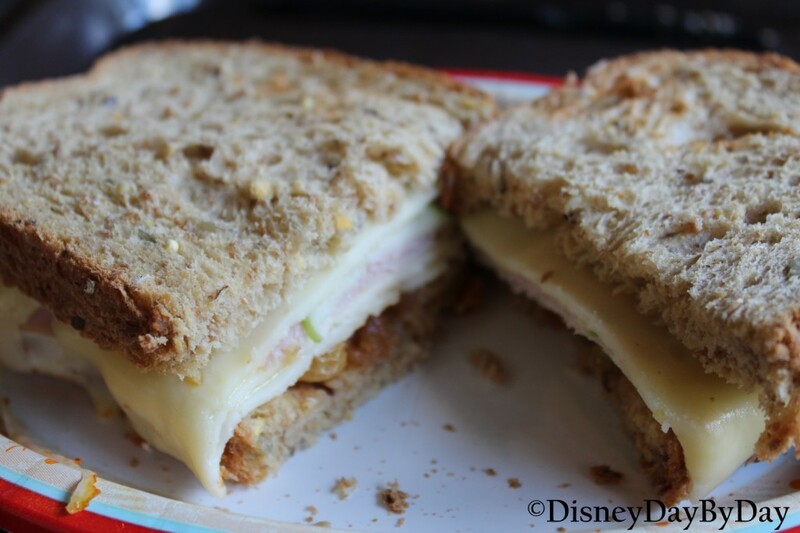 The Ham and Apple Sandwich is a sandwich consisting of Ham, Apple, and Jarisberg and Muenster Cheese with a Sweet Apple Chutney on toasted Multigrain Bread. They did not skimp on the ham or the apple chutney, but we found it to be a bit too sweet and ended up taking some of the apple chutney off and adding some mayo. What’s your favorite item in Norway? We would love to have you join us, grab the InLinkz code here to add to your post! 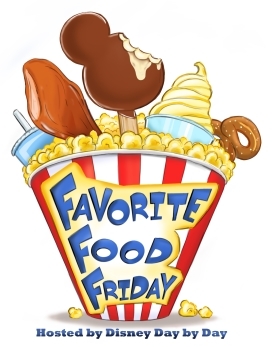 Welcome to this week’s Favorite Food Friday where we share our favorite foods with our friends. This past week we spent an amazing time at the parks with my brother and his family. 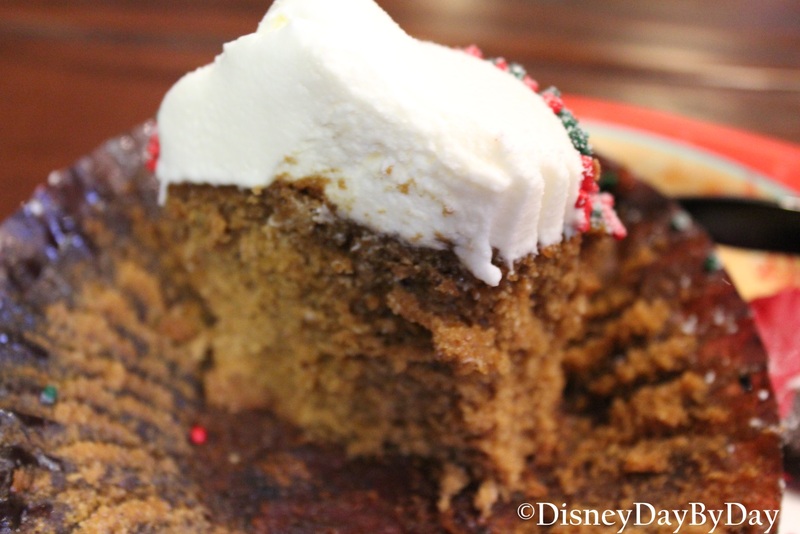 At Hollywood Studios we found a festive cupcake to celebrate the Holiday Season, the Gingerbread Cupcake. We loved the moist and spicy cake which was topped with cream cheese frosting. Pushed into the frosting was a fun chocolate Santa Mickey hat, which I believe was all dark chocolate. Definitely a great way to eat yourself into the Holiday Spirit. 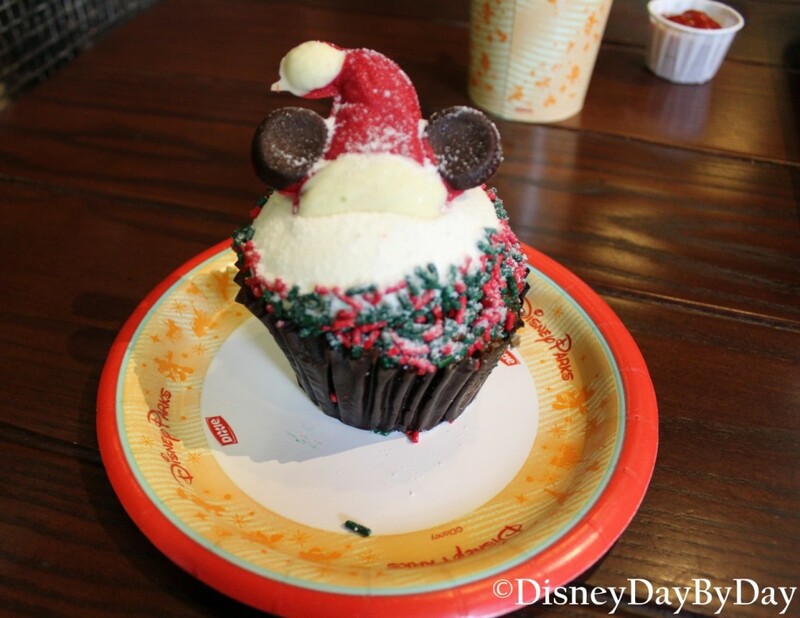 This cupcake is available from most of the quick service restaurants at Hollywood Studios, but this one we purchase at the Backlot Express. What’s your favorite Disney Cupcake?